You are here: Home / News / Boys Special Programs / Mivtzah Lulav / Abramovs brings the joy of Sukkos to seniors in Los Angeles. Abramovs brings the joy of Sukkos to seniors in Los Angeles. Helped 8 Yidden Bench Lulav, and 1 Yidden make a Bracha לישב בסוכה. 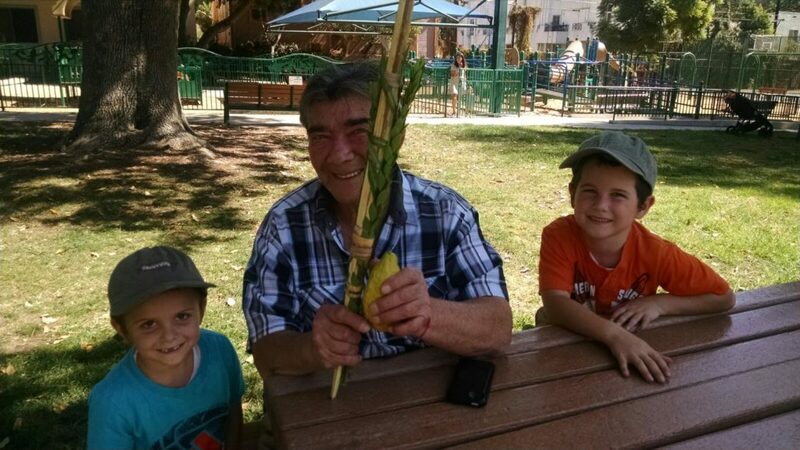 Mendel came up to people to offer them to shake the lulav. He helped them make the bracha and do the mitzva. https://lecfl.com/wp-content/uploads/2017/10/Lulav-Mivtzoim-5778.jpeg 900 1600 Boys Programs https://lecfl.com/wp-content/uploads/2014/11/Logo-for-LECFL-site.jpg Boys Programs2017-10-19 08:54:422017-10-19 08:54:42Abramovs brings the joy of Sukkos to seniors in Los Angeles.